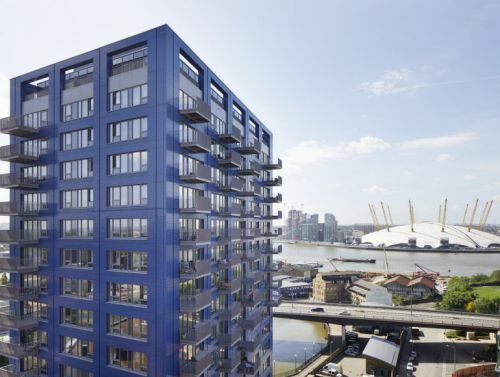 The London Design Festival (LDF) stretches from Brixton in south London, colonises the South Bank, spreads out to Woolwich, comes back over the river into Chelsea, Pimlico, Brompton and Mayfair, pushes up to Notting Hill, and marches eastward through Clerkenwell to Shoreditch and Hackney. But with over 400 events across nine ‘design districts’ it’s worth doing your homework before you set out. 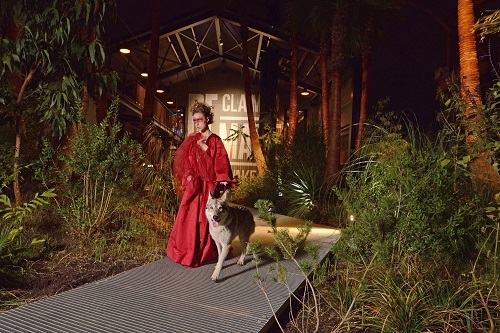 The festival, now in its 15th year, is vast and ranges from installations and pop-ups to talks, exhibitions and workshops catering for different tastes and budgets. An obvious place to start is the V&A in South Kensington. Enter from Exhibition Road (now christened the Exhibition Road Quarter) through a columned gateway, retained from the old structure. 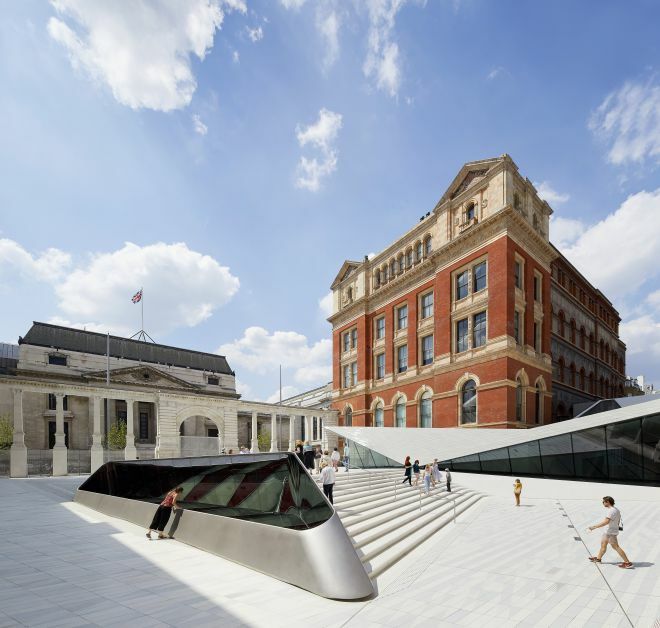 Then you are in the wide Sackler courtyard that now fronts an imposing new extension by AL_A. This houses the sunken Sainsbury Gallery, with a vast ceiling span built without columns opening to the public at the end of September. Outside notice the slanting porcelain tiles underfoot used on this scale for the first time, and a nod to the museum’s big ceramic collection. Inspect the intriguing “oculus” - it admits light into the hall below. Once inside, turn right, and then go left through the sculpture gallery, then right to the front entrance hall. Here’s the info desk dispensing the little red books that are the festival guide. Make sure you also get the map that shows LDF highlights at the museum. Don’t miss Reflection Room, a vivid light sculpture by Australian Flynn Talbot, and Exhale, a “bionic” chandelier that purifies air, by young Londoner Julian Melchiorri. And see who’s won the London Design Medals 2017 in a special display. There are nine ‘design districts’ taking part in the festival this year, each with its own identity. The V&A is lynchpin of the Brompton Design District. Explore pop-ups, showroom festivities and three adjacent four-storey townhouses in Cromwell Place crammed with installations. Stroll up to Harrods to find an exquisite parade of dolls’ houses fabricated lovingly by top designers and brands. Nearby Chelsea is running events in its showrooms at the far end of the King’s Road, SW10 while Pimlico, too, has open-house in a run of shops and showrooms. From there it’s a short hop to Mayfair, whose numerous galleries are taking part for the first time this year. Clerkenwell, already full of design showrooms and architecture/design practices, has a serious programme of shows, workshops and talks. Shoreditch is edgier, in East End overdrive with over 50 happenings. There are lots of surprises, from a design shop at the Ace Hotel to a plant-packed pop-up café for Bloomsbury’s Darkroom, and a suave all-black installation at designer Lee Broom. Islington is quirky and individualist with independent design-led shops, showrooms and cafes all taking part in a comfortably walkable cluster. 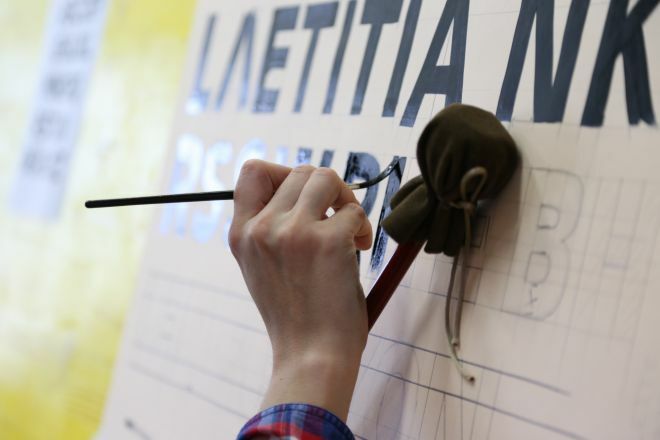 Meanwhile south of the river, Bankside design district has a typographical theme with lettering demos and workshops. Finally, Brixton adds an alternative note, joyously celebrating its vibrant multiracial community with a declared theme of ‘love and power’. The festival culminates in a batch of ‘trade shows’. Their main aim is to showcase new products to professionals such as architects, interior designers and retailers. However on certain days they also admit the public. Fun to visit is Focus, in the glassy triple-domed Chelsea Harbour, flower bedecked for the occasion. The event runs from 17-22 September for the trade, but the last three days are open to all (10am-6pm) and it’s completely free. There’s even free transport in courtesy cars from outside the Sloane Square Hotel. Find 120 showrooms in all, flaunting their newest patterns and colours. You’ll mainly see fabrics and wallpapers, but also trimmings, lighting, and furniture. You can meet the designers (some visiting from abroad), see demos, hear talks, and join tours. The mood is up-market and sophisticated. 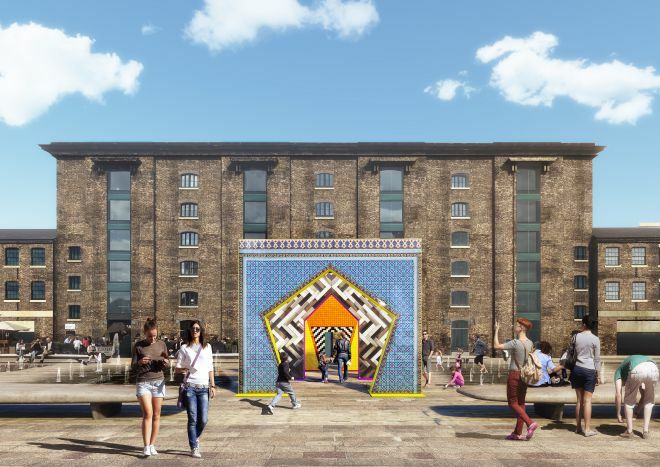 Over in King’s Cross across the canal in Granary Square, designjunction is open to the public from 21-24 September. Pass through a striking series of tiled arches to enter a show split into two. On the left, is a pavilion for bigger brands, showing their latest furniture, lighting and so on. On the right is a contemporary design market, where a host of smaller outfits and individual designers are selling what they show - furniture, lighting, rugs, wallpaper, accessories and more. It’s a chance to buy into the very newest products direct from the designers. Tickets cost £12 in advance and £15 on the door. Car buffs will love Renault’s award-winning new electric Trezor concept car. It’s in Granary Square under a special canopy. Explore its design, and see more futuristic car ideas from students at Central St Martin’s. This event is in the industrial brick bowels of the old Truman Brewery on Brick Lane, with its towering chimney. From a smallish venture 10 years ago, and formerly called Tent London, it now spreads over three floors and has been re-named The London Design Fair. This year boasts 500 exhibitors from 31 countries. The Fair runs from 21-24 September and is open to the public at the weekend (11am-6pm). But that’s when the whole area comes to life, with bustling local markets and street food booths. Tickets cost £15 on the door, £10 if booked before 1 September. This event is known for supporting new designers and you’ll meet plenty of them alongside more established brands. Do some “design tourism” visiting group shows from 12 countries - including Sweden, Holland, Poland and - new this year - cutting-edge designers from the USA, curated by Monica Khemsurov and Jill Singer, editors of the influential American web magazine Sight Unseen, founded in 2009. Find over 40 makers in the British Craft pavilion, plus 17 designer-makers from Scotland. 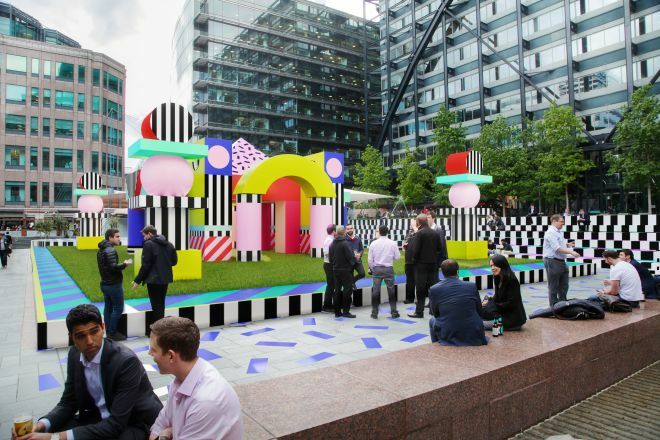 Finally, if you find yourself in the City of London, watch out for “Villa Walala” - an exuberant explosion of patterned vinyl blocks to celebrate the festival, by quirky East End artist Camille Walala in Exchange Square, Broadgate. Barbara Chandler is a photographer and design writer for the Evening Standard.